Beyond the back and forth that two best buddies can’t avoid; this episode builds and builds. Enjoy this weeks interview with family man Jon Berghoff. 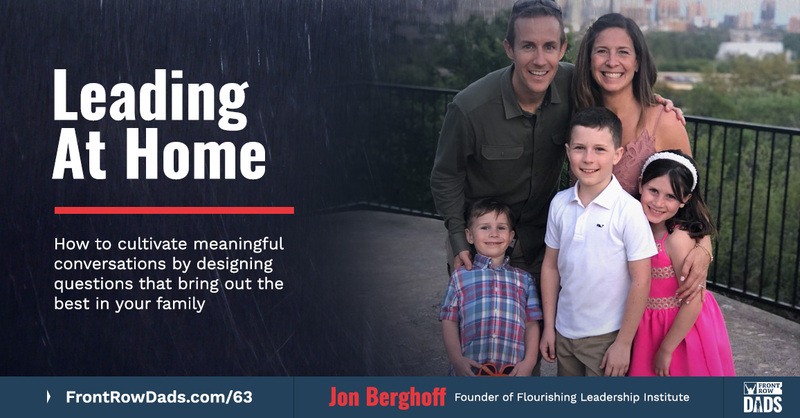 Jon Berghoff loves his family more than anything in the world – spends as much time as possible with his wife Mara, and kids Ace (8), Sierra (6), and Kaizen (3). 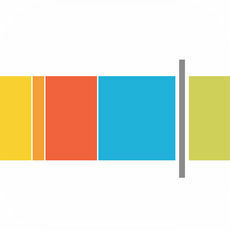 Jon is co-founder and president of Flourishing Leadership Institute [FLI]. Companies like BMW, Nike, NASA, Facebook, Google, the US Navy, Army, VISA, depend on FLI, when they need to engage the strengths of an organization towards solving a problem, building a strategic plan, or accelerated culture shaping. Learning organizations (masterminds) like Keller Williams, Mastermind Talks, Young Presidents Organization, Vistage, Gobundance, Gobundance Women’s Tribe, Front Row Dads, and Quantum Leap Mastermind have all turned to FLI to help multiply the individual and collective intelligence of their groups. FLI is the creator of the LEAF Certification, where over 150 leaders and consultants from 15 countries have learned to facilitate conversations and collaborations of all types, utilizing the latest science in Psychology, Experiential Learning, Design Thinking, and Strengths Based Management. Jon previously led sales at Vitamix where, in less than five years, his division organically grew revenue from $42M to $174M, and from 175 to 600 team members. His large-group facilitation has brought him to Europe, South America, Japan and Australia, and he teaches Appreciative Leadership and Emotionally Intelligent Negotiating through Executive Education at Weatherhead School of Management, at Case Western Reserve University. When he’s not doing all of that… there’s a 99% chance he’s running through the woods, eating avocado toast and drinking fresh juice. 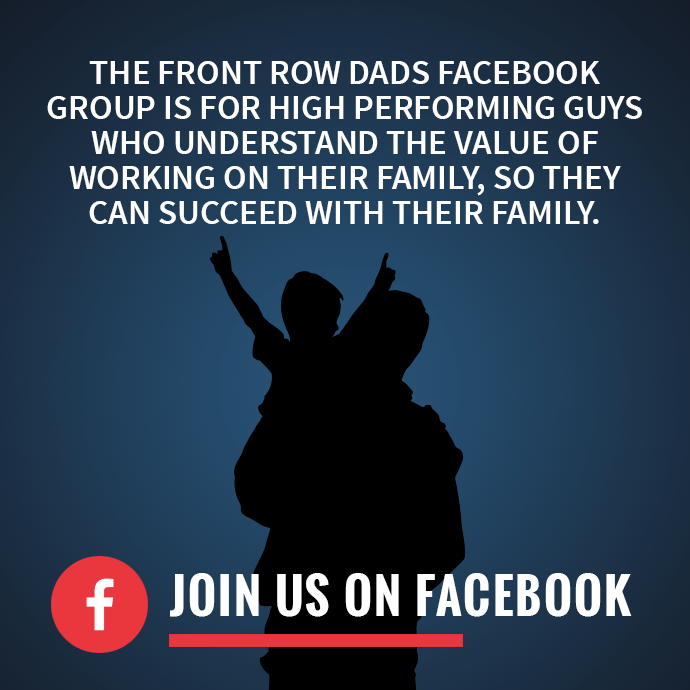 Join the Front Row Dads private Facebook community so you can ask questions, share ideas, and be part of a supportive group of incredible brothers who help one another navigate the role of marriage and fatherhood. 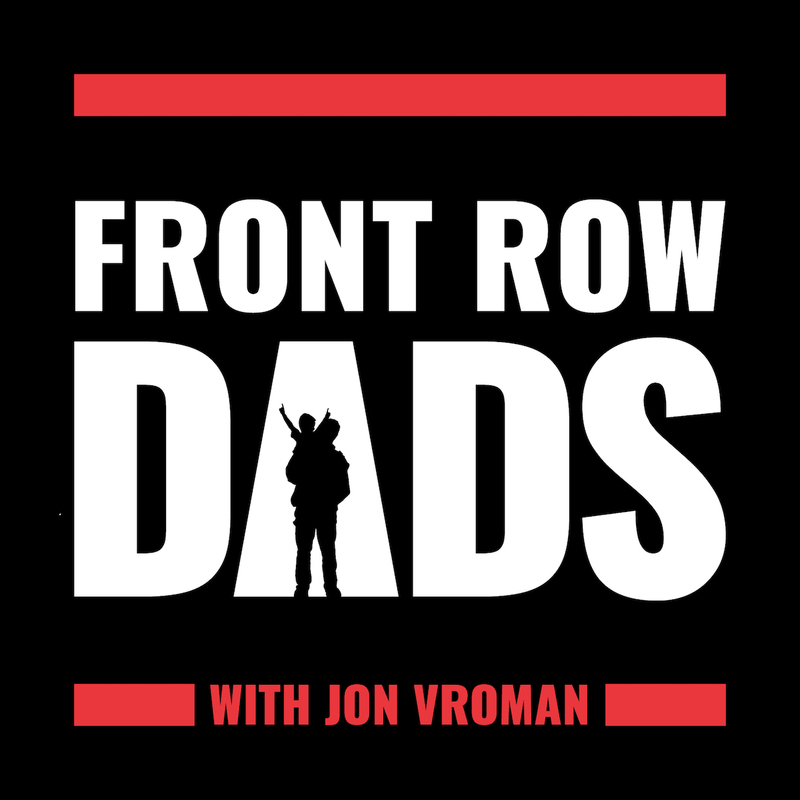 If you’ve listened to multiple Front Row Dads interviews and get value from the show, we’d love your support! 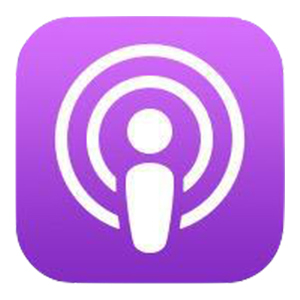 Leaving us a review on Apple Podcasts only takes a minute, and in turn, it allows us to rank higher and become discovered by other Dads, just like you.  Visit FrontRowDads.com/review and tell others what you think about the show! Jon V: All right. Front Row Dads, today is going to be fun for a number of reasons, but the most important is that you’re about to meet one of my best friends in the world. Mr. Jonny Berghoff is with us and we’ve had him on the show before. It’s actually not surprisingly one of the most popular episodes when we look at the download stats. And today, we’re going to shift gears a little bit. Last time we talked about coaching. You remember that, dude? That was a fun chat talking about coaching Ace’s baseball team. Jon B: And as soon as you said that, it takes me back to coaching, yeah, it’s flag football and baseball. Jon V: Yeah. That’s right. We had a great chat about that so if you get a chance to go back and listen to that, but today I wanted to talk with Jonny about a couple of things because not only did he share with me recently a really cool adventure he had with us on Ace but that we also have a couple events coming up that we wanted to let you guys know about. So, Jonny, thanks for making time today. Jon B: Hey, man. Great to see you, buddy. Always good to be with you. Happy to chat. Jon V: So, let’s start with a little background in your life, though, for the guys that don’t know you, who are new to the show and just tell everybody about your family and where you live. Jon B: Sure. Well, I was born on February 7, 1982, 7 pounds, 3 ounces to Chuck and Sue. Jon V: All right. Expand on that a bit. Go deep there. Jon B: Well, I was a baby. Oh man, my wife, Mar and I, who if anybody doesn’t know, I met my wife in your basement in Blackwood, New Jersey. Gosh. When? It had to be 2005 or 2006 or something like that and then you married us on top of Half Dome Mountain, Yosemite, California which we actually have a story to share today about me taking my son out to Yosemite a couple of weeks ago. Jon V: Yeah. That’s perfect. Jon B: So, thanks to you I met my amazing wife, Mara, and we’ve got three kids, Ace who’s nine, Sierra who we named after these beautiful mountains where we got married, and our youngest son, Kaizen, who we call Kai and he’s four so that’s home life. We’re here in Hudson, Ohio, which it’s always funny when I tell people I’m in Hudson, Ohio and especially here I grew up in Cupertino, California, which sounds really cool and then they hear Hudson and people try to pretend like they know that that’s cool but they really don’t know how cool it is here. 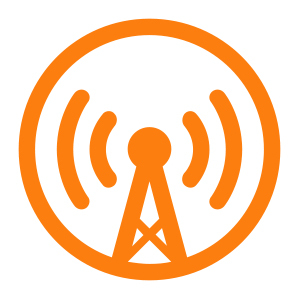 Jon V: Now, this is actually a great opportunity for you to give a sales pitch on Hudson, Ohio. All kidding aside, though, this is good because you could live anywhere you want in the world. Jon V: Literally pick any spot, and yet you’ve made it, and you have a lot of friends that live in other places that would there be motivation to be in other places. Why Hudson? Jon B: Yeah. Well, we kind of stumbled into this town but at the end of the day it aligns with our values and I had this like one of – I think I have a midlife crisis every few hours at this stage in my life and I was having one of my hourly breakdowns before hopefully it breakthroughs. It was like seven years ago. I kind of really lose track of time. And there was a point where I had left the company I was working at, Vitamix Corporation, to start the company we started that we’re operating today and at that point in time, it was like, “Hey, we could move out of Cleveland,” because we came here to work at Vitamix and there was kind of this moment where we thought, “Well, what’s everything we love?” And this town was about 45 minutes away from a town on the other side of Cleveland we’re living at and we found this town. It was like it’s this old historic town. It’s so hard to describe how magical this place is that it’s nestled up against the Cuyahoga National Park and there’s amazing beautiful nature literally just minutes from our office where I’m at. And what’s cool about this town is that the entire town was designed and built so that our whole life is within like a five minute like radius of driving and so my kid’s schools, the places where we eat, you can walk, you can be outside. Everything about the way this town was built, the values of the community, we are like. “Well, let’s just go live here.” And so, this is where we live and the best part of all is it’s amazing people, great nature, farm-to-table food whenever we want. The best part of all is it cost next to nothing. They basically pay you to live in this part of the country. Jon V: Hey, Jon, look, you could have this 6,000 square-foot house with a pool and waterfall and it’s only $160,000. Jon B: It’s so crazy, so I can talk on and on about Hudson. Jon V: I like that. So, JB, I want everybody to know your take on weather, because we talked about seasons and how you get old and why not move somewhere where it’s warm year-round. You got a good take on this. Jon B: Yeah, sure. I mean, I grew up in like I said, Cupertino, California, which is, I don’t know, it might be the “best weather” if you want blue skies and a median temperature of 74 every day of the year. It’s kind of what it’s like. I don’t know if that’s even an exaggeration. So, I grew up there and now I’m staring at my office window. I had a huge clock tower at the center of our town, but I’m in the middle of a snow globe right now so I’m very far from home and I’ve really learned to appreciate and enjoy the seasons because I really feel like the seasons give me this very direct relationship with life and change and my own change and someone could say, “Well, that’s great.” You know, I’d rather travel to enjoy those seasons and get to do it when and where I want to but at the end of the day, like in our home, there’s no such thing as bad weather. I don’t even know if we would ever say it’s cold outside. And I learned this long ago, actually, when I was motorcycling. I had a motorcycling coach and he used to tell us, he’d say there’s no poor weather for motorcycling. There’s just poor preparation. And I always thought about that and it always reminded maybe like yesterday I went on this epic trail run in the middle of a blizzard and inside of my attire and gear, I’m like a little kid playing a video game. It’s like I beat the game and when all of a sudden what to somebody is bad weather or a disturbing situation, to me is actually fun. That expands the experience of life, at least my experience of life. So, I’ve learned to let weather be just a condition that I can adjust towards and actually appreciate the richness of experience that it gives to me. My kids ski three, four days a week. I can do that 10 minutes from our house. It’s cool. Jon B: It was getting dark, right? Jon V: It was getting dark. We drove to this mountain, and everybody’s like, “Well, you’re not supposed to go up that trail over there that’s marked, ‘Do not enter,’” and we’re like, “It looks like there’s no wire on that side,” and we end up climbing up this mountain. We have this incredible hike together, but that weather was not ideal hiking weather but yet that was a really meaningful experience. And then actually when we were at that event, I think I remember, didn’t we like go for a big run through the snow? We kind of got lost. We often ask for directions. Jon B: Yeah. I mean, you know, I remember that vividly and it’s like what we chose to do. I think most people would have agreed like, no, you’re not supposed to go do this right now. It’s kind of like when you and I go out to eat, we always get a chuckle out of how we order our food and I always think about life is kind of like when you go to a restaurant like some people, they take what’s on the menu or other people they stop and they go, “Well, what ingredients do they have in the kitchen?” Now, some places you might really piss them off but the kind of place I want to go to, they love when somebody like me doesn’t take life based on what’s on the menu. I take the ingredients and I make what I want out of it and I feel like I go back to the metaphor of it’s like a game that once you decide what kind of game you want to be playing, it doesn’t just expand the possibilities but it expands the richness and the joy that’s available like I laugh when I’m around folks that something that bothers them. I realize, well, they just aren’t aware. They a whole other set of choices right now. Jon B: Yeah. I love that. I love that. I love that. I was thinking about earlier today I had a situation at work today that was kind of a rough morning for me, I mean, like rough morning in terms of like very first world problems rough morning, but I was thinking to myself like, “Okay. This is like a rough day in my world,” and I was actually thinking about how when I go home, this will be in a little bit from right now like one of the first things I want to share with my son is that I actually had a sh***y day. I might say exactly that. Like I might tell them, “Hey, Ace,” on our way to hockey because I get this 20 minutes of drive time and I learned this from another Front Row dad or a good friend of ours, Trent Booth, who I called him one time and he answered the phone and he said, “Normally I wouldn’t take this, but my son sitting next to me gave me permission to take this call while in the car,” and ever since then I don’t get on the phone when I’m with my kids unless they give me permission but I even learned to not even ask them anymore because they tend to just say yes. I realize I’m just going to protect that time. So, anyways, long story longer, when I’m driving him to hockey today I’m going to tell him, “Ace, I had a sh***y day today,” and then I look forward to telling him like the mental gymnastics that I went through to try and reframe it, to try and find a new solution because I think I’m more relatable as a dad if I tell him the truth about my struggles and what I go through. So, I’ll let you know how it goes. I might just be adding to his long-term therapy. Jon V: Dude, did you happen to see the email that I sent out to the guys about SPAR and the fact that they canceled our account? Jon B: I totally saw it. I think I told 12 people about it. Sorry, SPAR people. 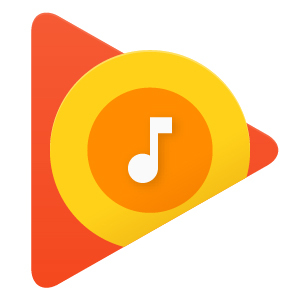 Jon V: So, for the guys who are listening, this is fascinating. Well, here’s why it’s a fascinating story. It’s a fascinating story because I’ll give everybody the super short version of what happened. So, our dads’ group is using this app. We’re using it for a daily sweat challenge that we have going on. We like the app. It’s going great. It has some problems. We email their customer support team and apparently, they don’t like it when you email them and tell their app’s not working because they basically canceled our account and said, “Go away. You’re annoying.” And so, I responded back. I wrote an email. Jon B: Beautifully. You responded beautifully. Jon V: It was basically like, you know, hey, we think you should calm down. They were really upset that my subject line of my email was, “Urgent help.” That was the subject line in my email to them and I responded back, and I was like, “You know what, you’re probably right like I probably could benefit from chilling out, calming down.” I just owned the piece I thought I could own because I can’t benefit from chilling out a little bit. We just own it. But the best part of that whole scenario was that I had a chance to talk to Tiger about it and I told him, I said, “Let me read you this email, this guy basically what he said to me,” and then we had a conversation around, “Hey, even as adults, you have people call you names.” You have people that will, right? And like how do we deal with that and we talked about reputation. We talked about all of the things that you could learn from that and I think it’s so great when you face a big battle bringing your kids in the loop on that. Jon B: Yeah. That’s great. That’s cool. Jon V: Hey, let’s talk about some of your experiences with Ace and your conversations and your time that you get with him because this is one of the things that sparked this conversation. Can you just give us the quick rundown of what happened to taking Ace to Yosemite? I’m so fired up. Jon B: Yeah. I’m really happy to tell the story because in the last couple days my relationship with Ace has hit some low point so it’s probably good for me to preface all this with that which is either going to cause guys to dismiss the validity of whatever I say next, or realize that we all face the same things, but it’s actually interesting. I’ve got struggles with Ace right now that are just part of the ebb and flow I think of any relationship. And so, the story I’m about to share what I love about it is it’s actually like an anchor that I created with him that I can actually go back to personally and it also gives me something to reconnect to. So, here’s what happened is it was the day after Christmas and I was out on a trail run and I was on this run and I had brought a question out into the woods with me, which is one of the ways I’ll take advantage of that time. I don’t always do that but I decided here the question was something along the lines of like, hey, what do I really value in my life and where in my life do I have one little voice that says I really value something or I wish I was behaving in a way that aligned with the value but I’m really not showing up for that. And I find there’s never a shortage of answers to that question for me. There’s always many places where I want to see myself one way that I’m not showing up that way and two things came to me while I was on that run. Jon B: And then he packs his bags. It’s funny when kids are excited, the s**t they can get done on their own that they seem to not be able to do. So, he packs his bag. I called my dad. I said, “Dad, we’re going to surprise mom.” We get on a plane and no electronics. It was like, “Ace, this is going to be you and I time, this whole however long we’re going to be gone.” It was like seven days or something. We fly out there, we land, we drive out, and we go to my parents’ house and it was a total surprise for my mom. So, this was the first part of the trip that was kind of like one of those moments that it was cool because I didn’t do all this thinking. I hope I create a moment like this for me and for Ace. The whole trip was of one big moment in my head and I wasn’t really thinking about it, but when we pulled up to the front door, my mom, she’s still with it like a large percentage of the time and she goes in and out of coherence. And so, we went on about a 5-mile round trip hike the first day and a 7 or 8 mile round trip hike the second day, and it’s in the middle of winter and there’s nobody there which just makes it, it’s the most visited national park in the United States and to hike for 8 miles and not see a single person in and of itself is kind of special because you’re in these waterfalls and huge redwoods. So, it’s an amazing time, Jonny. It was a great trip. Jon V: Gosh, oh man, that makes me so happy to just envision, you know, not even really what you had to say but just how he felt, how you felt like knowing like there’s a knowing that you’re doing something really great there. There’s a lot of times when I might be at work and thinking I should be with my kids. There’s fewer times, but way fewer times where I’m with my kids thinking I should be at work. That happens like I have guilt like, “Ah, I should get that project done,” or whatever, but there’s a lot of moments when I’m with my kids and I’m like, “This is exactly where I’m supposed to be like this is a good moment.” I’m wondering has Ace said anything about that trip. Did he say anything on the way home or in the car ride or like were there moments where he did express how that felt to him? Jon B: Yeah. It’s a great question. Yeah. You know, Ace as a kid I see things that he gets from me. He’s very much in his head, and he’s very internal, and he’s not as expressive as his younger brother and sister. So, kind of in his own way, he shared what it meant to him and part of how I can tell what it meant to him is hearing him talk about it with his buddies when we got back home. And so, that’s kind of cool. And we definitely talked about it and one of the things I notice is the other day when we called my parents to FaceTime them like he jumped at the idea of calling them. In my mind, we need to call them more often but he jumped at that opportunity and he jumped out in a way that he didn’t use to and I think that trip helped re-center him around that relationship. And I would challenge anyone who’s listening to us, if you’re in the situation that I’m in where my wife and I we don’t live near any parents or relatives and it’s so easy for us for that to be an excuse to not have our kids connect with other family members when in reality, I know it’s not the same, but there’s no reason we can’t leverage what technology lets us do and let them at least be face-to-face. So, I’ve definitely seen an enthusiasm there. I’ll tell you one thing that I’ve changed since that trip and, by the way, I’m on like day three so this is like the guy that tells you he kicked coffee two hours ago. Yeah, I’m on keto. I didn’t eat anything for lunch. You know, it’s like that. No, I am on about day three here, but I made a decision about a week ago that it doesn’t matter what’s happening at work or what it’s going to cost me, I am now going to go home instead of what used to be around let’s call it 6 PM, on average, plus or minus, I’m now going to go home at about 4 PM every day just to be around, especially Ace. Because he’s at this age where it’s like being able to be around him and spend time with him is really significant and it’s not enough for me to just drive him to and from his sports where I’m sometimes the coach. So, anyways, I’m I moved up when I leave work by several hours and I’m on my third or fourth day of doing it. And it feels really good and there’s a huge list of stuff that is going to suffer because of it and I’m totally cool with that. Jon V: Yeah. That makes me so happy to hear, dude. I have a lot of thoughts on this whole subject, but guys out there listening I just want you to know how important you are at home and this is coming from a guy who I have failed at that big time for years and thank God, one of my friends, one of our Front Row dads had kind of called me out on it, not kind of, and, by the way, I asked for it. I said, “What’s something you could tell me? You know, like be honest with me, how do I grow as a dad?” because I think you need more time. There’s something that just never replaces, just the simple fact of you being around and kind of doing life with your kids. Let me show you how I make this phone call. Let me show you how I handle this problem around the house. Let me show you how I interact with your mom and other kids and neighbors. Let me show you how to do life. Let me let you watch me do it. There’s something that just never takes the place of that and I love when Dan Markel came on the show here and he said, “Everybody’s homeschooling their kids, whether they realize it or not,” and that when you send them away during the day, that’s supplemental. You’re the main source of educating your kids, period, end of story. You’re going to teach them something. It’s just what you’re going to teach them is the question so there is no question that you’re the hero. There’s no question that you’re the guiding light. You’ll appreciate this, JB. I want to tell you this. This actually ties into what you just shared about your mom and about Ace and driving, by the way, to that car time. It gets to the end podcast over and Tiger goes, “What do you think about that?” and I said, “Buddy, I thought that was really interesting,” and he goes, “I really like that,” and I just was like I was totally taken back by this moment but it got me thinking about a couple of things. Number one is how valuable those moments are doing life with my son, how I can bring my passions into the conversation like learning and teach him how to be a learner, and then I thought one day he’ll be down the road saying, “I remember listening to talks with my dad in the car,” and talking about them at the end like that would really make me happy. And then I thought about how it made me think about how I’m treating my parents. And actually, JB, you don’t even know this. My dad went in for surgery four days ago now and, yeah, and they took a tumor out of my dad. They’re doing a biopsy. He should have the results today or tomorrow. And it just gets me thinking about how there’s these – what you did is so powerful, man. I just want to honor you because we’re not going to have our parents forever. A lot of guys out there listening don’t have their parents or one of. And so, wherever you are and whoever you still have, the point is to not waste that opportunity to connect and to get on that flight, create that time, make that appointment, get it done. Spend time whether it’s going home early or hopping on a plane and going to Yosemite. I just want to honor you and I just want to tell you how great that is to hear and how that makes me so happy for you and for your family. 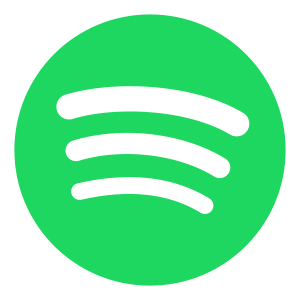 Jon B: It’s awesome, buddy. It’s awesome. Jon V: Let me just switch gears because there’s something else I want to talk about in our last 10 minutes here and I want to talk about let’s go with the theme of conversations. Like, if we’re in the space to talking about these conversations with our kids, the time that we spend with them, I want to talk about the conversations that you bring from your work to your family life because a lot of the guys listening are high-performing entrepreneurial guys. They have these real talents and skills they develop professionally and I’m curious in your world how your profession which you probably need to give some context to the guys about what you do and I’ll add a little bit about that in the beginning but how your profession is helping you be a better husband and father and family man? Jon B: Sure. Well, I’ll set the stage with just a simple explanation of what I do and then I’ll let everybody know how poorly I bring that home. Oh my gosh, I mean, if I did at home, you know, successfully one-tenth of what I do at work, I’d be a freaking hero. Isn’t that the truth? So, yeah, that’s a pretty important disclaimer there. So, my passion is all about helping groups of people to tap into their collective genius or what we sometimes called group genius and what’s really interesting is what that passion has led us into is into organizations and communities like your Front Row Dads group where we get invited to help tap into the collective wisdom both in service of the individual members of those communities and organizations but also sometimes to solve really big problems for those companies. And the simple explanation of how we do what we do is at the end of the day, it’s all about bringing a science to how we design and then orchestrate conversations. Now, in my world, we design and facilitate conversations at scale meaning everything we do, literally everything we do is with groups of people in a room whether they’re solving a problem, coming up with a strategic plan, creating values or visions or just sharing ideas. Everything we do is in a group setting and one of the things that we’ve learned that’s really interesting is that if you really try and look at into any group of people and ask the question, how do you find like the culture of this group? The simplest, simplest answer, and the fastest pathway to where you can see that culture being expressed is really to say that the DNA of any group lives inside of its conversations, the stories we tell each other, the conversations we have with each other. That is the most direct expression because you could argue, well, culture is about values and beliefs and all that. But you can’t actually see how it expresses or shows up until you see the conversations happening. And that we could have a long debate as to the interesting observation that you can actually change those internal things from the outside in by changing the conversations we have. But, Jonny, one of the fascinating questions I think for all of us to ask is what is the DNA of the culture of our family? What are the conversations that are – and that’s what you’re all about, man. 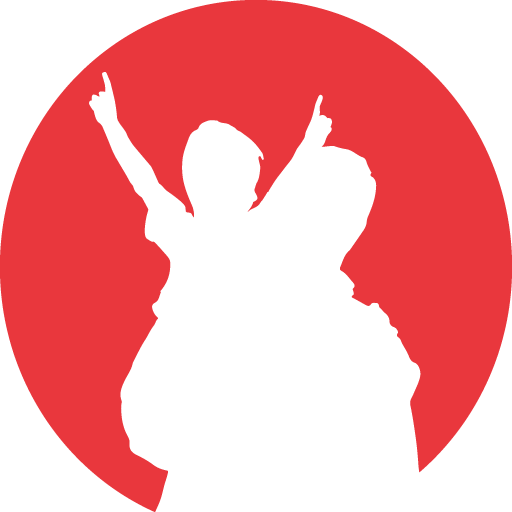 That’s what you’re sharing and teaching with us and when you bring dads together, I mean, it’s all about us becoming better dads but ultimately, shifting the culture of our families and one really interesting discovery that we’ve kind of stumbled into is and there’s a whole research study. We’re about to be able to publish a report in the next several weeks on this and we did this in partnership with this company out of Australia and an academic Institute up in Vermont and one of the things that we’ve been able to empirically validate is that it is not only true that the DNA of our families or any group lives inside of our conversations. But here’s what’s really interesting, the conversations we have changed the DNA of the individuals having those conversations. So, it’s not just a macro thing that the conversation you and I have changes the whole group but it actually changes us individually. And so, that’s all a really long way of saying, “We ought to be really careful and thoughtful about the conversations that are unfolding,” and as you know, our work is all predicated on a couple of basic ideas around conversation design and one of those happens to be that the best way to shift our conversations is to shift the questions that we ask whether it’s, yeah, so how does all this apply for me and my family? Like I said earlier, I’m really good at doing this in very high-stakes situations at work and then I go home where the stakes are equally as high and things aren’t always as easy to apply at home. But I definitely am conscious of what are the questions I’m asking starting within myself like as I’m driving home, like who I want to be and how do I want to show up? I’m not always proud of the way I show up on a consistent basis, but some of the times when I’m at my best, it’s because I actually pause. You push pause on the machine. It stops working. If you push pause on a person and we actually start operating at a higher level when we actually pause. And so, just actually having the mental awareness to stop and ask a new question around, “Who do I want to be? How do I want to show up? How do I want to walk in the door? Where do I want the conversation to be with my kids or my wife 10 minutes after I walked in the door? What do I want the feeling like to be in my home?” So, it starts with me and then from there, you know, as far as my kids, they might not be interested in the big conversation, but it might be as important as me just knowing that the most important question for me to ask when I walk in that door is who wants to wrestle with me. Because then that creates the chain effect of everything else that’s going to make the next several hours awesome. So, I don’t know but you can go anywhere you want with this. Jon V: Well, one of the things I’ve heard you say about the work you do with Appreciative Inquiry is that it’s a search for the best of what was, is, and could be, and I think about when you’re thinking about and here’s the beautiful part about being in business or being an entrepreneur or working with teams is that I think for a lot of guys there are a lot of skills that we’re learning in our day-to-day. We’re studying something, we’re practicing, we’re experimenting and we can take what’s working there and bring it home. I remember I was talking with Isaac about looking at the dinner table as a board room meeting, as you would a board room meeting. I was thinking about his exact words. This is Isaac Tolpin. And he was talking about how we’ll plan out a meeting for our teams. We’ll think about the questions and where people are but yet we’ll go home and we’ll sit at the dinner table and just be like pieces of s**t like just shoving food in our face and try to get away from the table as fast as we can to go do whatever we’re going to do. We could look at it as like really an intentional time of cultivating conversation going around the table just like we would any other meeting. Hey, let me throw a question out at the table and we all go around and answer it. And I think simple frameworks, I mean, you’re good at building frameworks. We had a great dinner recently and you were drawing these pictures and like thinking about when you were talking about how you did a meeting with Habitat for Humanity and you were talking about how you are drawing pictures and how that was really helping you to connect with the room. And I think about how important that could be for a dad to learn the art of like visually storytelling for their kids like let me show you what that looks like here and just using all these skills that we’ve got to really develop the DNA of the group, the family that we have at home. There are so many ways that we can just bring the conversation over and maybe one of the questions is just to be aware of that. Maybe the question that we’re leaving everybody with today, maybe the question that’s most important is how can everybody use the work that you’re doing that you’re practicing for eight hours, ten hours, whatever amount of hours per day and then bring it home and put in the work there. Jon B: What I love, Jonny, that you’re really forcing all of us to stop and do is to take ownership. I think for myself one of the biggest shifts for me as a dad and in our family and it’s a work-in-progress like I sit here and I say this and I think even if today’s a ten, if yesterday was a five, today’s five compared to tomorrow’s ten like we can keep evolving and growing as a family, but I think the biggest thing for me is the shift from when things aren’t going well in my family to make sure and this is something I took from work because we do a lot of work in large systems of people and the number one thing that brings down a community of people faster than anything else is the experience of shared victimhood. It’s when people collectively, there’s a collective removal of responsibility, and that’s something that for me I’ve realized I’ve got to make sure that I don’t ever feel like the problems at home. I’m a victim of, well, my wife doesn’t do things this way, my kids don’t do things this way, our school doesn’t teach them this way. I’m a victim of, well, I’m a prisoner of my own job and so all of a sudden I have to stop and realize, “Well, wait a minute. I can’t be a victim of all these things. I need to take ownership and that could sound like to me that that was a really important discovery is realizing, “I’ve got to take full total ownership,” and then only from that point, can I start to tilt things in a positive direction. Jon V: Wow, man. That’s really powerful because I’ve been in that place so many times where I can feel so empowered in so many areas of my life and so educated and so on point, people come to me and they pay for advice and yet I go home and I’m like, “I would feel so relaxed if this place wasn’t so messy,” like I just like I’m such a victim of it. Literally, I’ve played the victim so many times at home and it really like even in the past year I can see moments where I didn’t and then I saw progress. I can literally tell you a story in the last two weeks. You may or may not know this and this might be new news for you too, but so I’m on two weeks of meditating for an hour every morning. Jon V: And I remember about ten days ago, my wife, Tatiana’s starting this challenge with about eight of our friends, and it’s an hour a day and I’m like I’ll go in. I want to support her. She’s really excited about it. Jon B: She needs it. And she’s into Dr. Joe. This is like her guy right now. Dr. Joe, he’s like building her. And so, I was like, “You mean to tell me,” and this is how good I am at arguing point. I’m like, “If Dr. Joe was in a room full of people at his event and the entire room caught on fire that Dr. Joe would be like, ‘Guys, let’s all meditate for an hour and then we’ll be way more effective at putting out the fire when we’re done.’” I’m like, “No. Dr. Joe would be like, ‘Get the f**k out of seat. There’s a fire,’” and like I go, “That’s what I feel like right now in my business and in my life is there’s fires and I need to put them out and sitting around and thinking is not going to help me.” And, dude, I had this whole like brilliant argument about why. Jon B: You rehearsed it. Jon B: I mean, it was like really good and she just basically shrugged her shoulders and she was like and she fought back, but she also like I was arguing for my limitations. And, eventually, though, what’s good is that my integrity of wanting to honor the challenge played out. I got up, I meditated, I made it happen. I started going to bed earlier. I was like, “What do I need to do? How do I need to adjust my schedule? What do I need to make it happen?” And now I’m on week two and I’m like loving it. In fact, she was right like I’m more effective at work because I’m meditating for an hour. I’m actually watching less garbage. I’m surfing Facebook less. I’m wasting less time. I’m like I got to get to bed and I got to wake up in the morning and I am a better version of myself thanks to my wife. Jon B: How great is that? Jon V: What I call the Russian assassin which is not letting me hold onto my bulls**t excuses about like I can’t do this and I’m a victim of my schedule and I’m a victim of my workload and all this stuff. And I’m amazed that at 43 years old and with as much training as I have that I can still be such a victim at times. Jon B: That’s so great, Jonny. That’s so great. Good job, Tatiana. Good work. Jon V: I could be the biggest victim of them all. Jon B: Well, there you go. Jon V: Oh, man. Well, hey, dude. Jon B: It’s a good thing you’re leading the dads. Jon B: You being a victim, you leading dads. Somebody must’ve sent you a note of some kind. Jon V: Yeah. I don’t remember where I was going with that. It’ll come back. Jon B: It would’ve been great. Here’s the next episode. Tune in. Jon B: In other words, we need to recover from the last 40 minutes of nonsense. Jon V: Yeah. Exactly. Can you eventually add some value to this conversation? Jon B: And you got 60 seconds and then we got to go. Jon V: Please keep this to three minutes or less. Jon B: Oh my gosh, well, we began to allude there a couple things earlier that I could just kind of pick up where we may have left off. Yet, the work that we do and it’s been a pleasure to bring this into the dads community and see it continue to be a vehicle to help elevate the value for all the guys in the group, but the work that we do it’s really based on understanding that in a group or in a community, there are certain needs that need to be met. So, let’s just make this about the dads’ group and then I’ll try and make this very practical. In the dads’ group or in any community where people come together to learn, there’s three types of capital that we can build through how we orchestrate conversations. One is intellectual capital. It’s one of the reasons people come into this community. They want to get strategies, techniques, tactics, ideas, and we want to find ways to share the best ideas as efficiently and effectively as possible. And one of the activities we do as an example is something called the ask-give activity which in many communities should just be a ritual where you have people declare what they want help with and other people declare what their strengths are and literally it’s real-time value creation and that’s just one example of how you deliver on this intellectual capital. But there’s two other types of capital that in any group of people when you figure out how to deliver on these, what that group becomes capable of accomplishing not just in terms of serving people individually but collectively, it’s exponentially powerful. And the second type of capital is what we call social capital and social capital is all about in groups, people need to feel safe. They need to feel like an experience of connection and inclusion. In fact, what we’ve learned is that it’s not until people feel safe that you actually get the best possible information sharing. So, that’s another outcome that we have to figure out how to deliver. And the third kind of capital is a whole different level and it’s what we call communal capital and communal capital is it’s really an answer to the question of is there not just a shared identity and shared values in the group but even a purpose that transcends beyond our individual reasons for coming into the group. And the groups and organizations that are the healthiest, they find vehicles to nurture and build all three forms of capital. And the work that we do, we get brought in because our customers believe we’re able to build all three simultaneously and the way that we do it, it all starts with a question design. And so, a couple things we’ve learned about question design is first things first. The fastest way to change a conversation is actually a change who’s in the conversation. Who is talking with who? Because I may have said some earlier that it’s important to facilitate in groups or in our families the experience of connection and inclusion. What’s interesting is connection and – you can have one without the other. 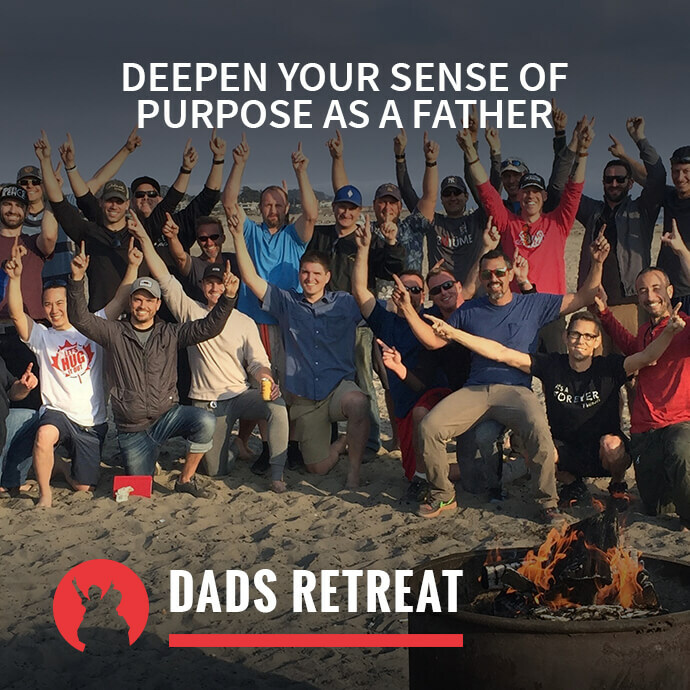 Like your dad’s retreat, you can have a bunch of guys connecting but you can easily have exclusion if you’re not careful about how you choreograph who talks with who. Same thing is true in our organizations. So, who’s in the conversation and then who’s talking with who is really fundamental to how we do all this work, but now it’s okay. What are the questions that guide what we’re going to do? And one of the things we believe in deeply, Jon, is something called the power of the first frame. The power of the first frame is understanding that when two or more people come together, if we’re not conscious about declaring why we’re coming together in what it is that we want out of coming together, we can very easily fall into that whole victim conversation or a conversation of talk about what’s not working, what’s broken, or what’s wrong. I’m not saying we should ignore the problems but what we’ve learned about the power of the first frame is that when we come into a conversation, we have to ask ourselves what’s the first question we’re asking because that changes the trajectory of everything else. So, instead of asking how do we fix what’s broken? Questions like, what would it look like to be exceptional or what’s working or what could it look like to thrive? These are really important. And then beyond that, there’s three kinds of stories that we want all of our questions to help us with and the stories are not just stories about our future. It’s so important to ask questions that invite us to hope and to aspire and to have space to think about what would be an amazing future, but we also have to ask questions that allow us to really rework the way that we deal with our past. For example, you and I can talk about something that didn’t work last week. We could also ask questions that would draw us towards when have we been at our best and what did we do that led to those moments? And we could learn not just from our own, but from each other’s high point moments and from what we did to get to those moments. 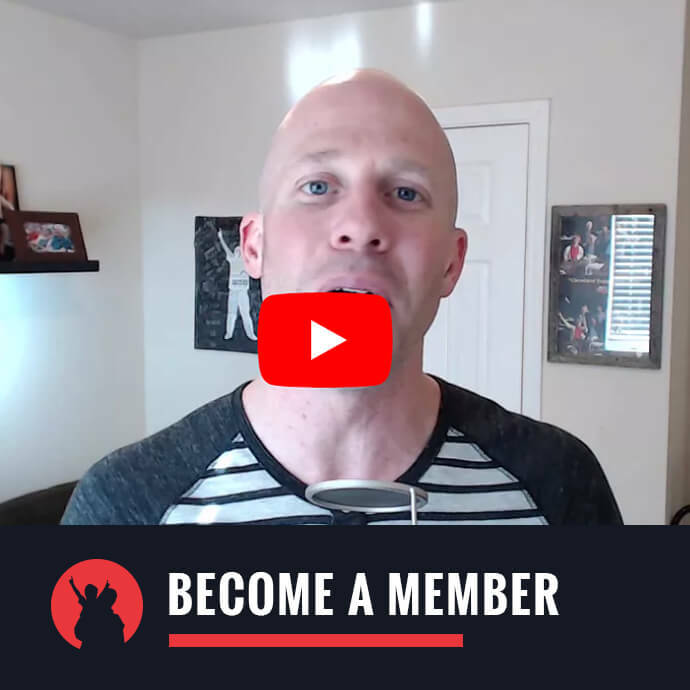 I go on and on and on here, Jonny, so we could kind of dive into there’s all these different types of questions that we ask and you bring all of these into your retreat. But at the end of the day, I would hope somebody would leave this thinking I should think about the questions I ask and can I make sure that I ask questions that connect us to our strengths to when we have been at our best, to what is working right now, and to what our best could look like. And then finally, back to the present, what do I want to do now and what do I want to do next? To get to that exciting future, bringing the best from our past with us. That’s the essence of a lot of this stuff. Jon V: You know, JB, I love this conversation. I feel like we should do several parts to this interview and really dig into this work and figure out how to bring it home because I think that by you and I exploring this with all the guys and having this conversation, I do think there’s so much happening with your work and then all of our work that we’re training for this, and I’m just going to speak for myself. I’m not going to say anybody else to do anything. I’m not intentionally, consciously, with great purpose, bringing these conversations home. I’m working really hard to bring it into the dads group. I’m working really hard to bring in the Front Row Foundation. But then I’m kind of wrapping up my work and just showing up, ready to play tickle monster, cook dinner, and then like get the kids to bed and those are my priorities where I think there’s another layer. There’s a higher evolved father within me that would be like more structure around our conversations. Even thinking about some of my wins this past year like when we’re having an issue and rather than having a talk with Tiger, I say, “Hey, Tiger, why don’t me, you, and mom all sit down?” And when the three of us are together, we have a different conversation than when if it’s just the two of us and there are sometimes when it should be two of you and sometimes it should be three of you. So, I’m not saying that playing tickle monster and having a good bedtime routine aren’t important and I think that whether your kids are 1, 5, 10 or 15 or any version of your family, listen, this is all going to be situational. You’re going to you have to do what’s right for you in the moment. You’re going to have to take the brilliance from any situation that you learned at work and try to incorporate it in your family the way that you can. But what I feel here, JB, is an intentionality. Jon B: I’ll give you an example. I think we’re over on our time. You must’ve rescheduled something. Jon V: This is just too important. Jon V: Let’s wrap in a couple minutes. I do need to jump on my next call. I do need to jump but, yeah. Jon B: Yeah. Let me give you a real example. So, my daughter Sierra right now is just crushing it on the piano on her own every night. Without anybody saying anything, she goes over to practice and what I’m about to, which is great, and I lay on the couch and I listen and I tell her how much I love it and it’s just so fun. So, this conversation is caused me to realize there’s something I could do that would be a micro-moment, but it could create a macro movement for her and the thing that I could do is tonight when she practices, so here’s an example of just an expression of this work, I could when she’s done practicing or before she practices, there’s probably some logic to think through that but either one is better than not doing this, I could use one of the frameworks we use, which is called the AIR Framework where I could start by asking her what do you appreciate the most about playing the piano? And she’s seven and so I’d asked that in a way where she can work with the question like what do you love most about the piano? What do you love about this? And I can even give her little thought joggers to understand how she could possibly answer that. And then after that, I can then ask her a question to help her imagine a future. I could say, “Hey, if you were to continue practicing and you kept enjoying this like what would be the coolest thing you could see yourself doing one day with your musical skills?” And I realize I need to create the space for us to explore that. And then the R in the AIR framework is, A, is to appreciate and learn from the past or the present. The I is to imagine the ideal future we want the most. And the R is to reflect and take action in the present. And what I would do is I would actually ask her, I’d say, I probably say, “Is there anything I can do to support you so that you can get all the joy you want out of the piano and work towards those aspirations?” But just that little like that would take two minutes and it would probably result in some really interesting if not really awesome conversation with me and Sierra. Instead of just she’s done and we go to bed. So, that’s an example where I could bring. I’m going to go do that tonight. It would be great. Jon V: Awesome, man. Awesome. Well, JB, let’s make it a point to bring this conversation back up into the group because I would really like to keep digging into how we bring the Appreciative Inquiry principles that you’re teaching at the Flourishing Leadership Institute working with companies like Facebook and Google and NASA, BMW and everybody else in between, into our families because I think we’re ultimately raising the kids that I deeply believe are going to save the planet. If we don’t create curious kids, kids that understand these basic principles of searching for the best of what was, is, and could be, I should say in a positive way. I think that’s a really important gift to our kids and to the planet. So, with that, dude, JB, thank you so much, man, for this conversation. I love you, buddy. Jon B: Sure, buddy. I love you, buddy. Jon V: I love that we could just talk today and I can’t wait to hang with you in two-and-a-half weeks. Jon B: I can’t wait, man. It’s going to be awesome. Jon V: Yeah, dude. Alright, man. I’ll let you get about your day and we’ll do another round whatever 3, 4, 5, 6, 7. I’m going to put them all on the calendar. I’m going to get with Laura, dude. I’m scheduling your year. Jon B: I love it. Love you, buddy. See you. Bye.